Managing New South Wales water resources relies on a range of legislation, initiatives and cooperative arrangements with the Commonwealth and other state governments. The key piece of legislation for the management of water in NSW is the Water Management Act 2000. The object of the Water Management Act 2000 is the sustainable and integrated management of the state's water for the benefit of both present and future generations. social and economic benefits to the state will result from the sustainable and efficient use of water. The Water Management Act 2000 recognises the need to allocate and provide water for the environmental health of our rivers and groundwater systems, while also providing licence holders with more secure access to water and greater opportunities to trade water through the separation of water licences from land. The main tool in the Act for managing the state's water resources are water sharing plans. These are used to set out the rules for the sharing of water in a particular water source between water users and the environment and rules for the trading of water in a particular water source. To assist in implementing the provisions of the Water Management Act 2000, regulations, proclamations and orders are also made. The key regulation made under the Water Management Act 2000 is the Water Management (General) Regulation 2018. The regulation specifies important procedural and technical matters related to the administration of the Act, and also specifies exemptions from licence and approval requirements under the Act. The regulation provides for Strahler stream order to be determined for the purposes of the regulation by reference to a stream order database which is published on the department’s website. A Regulatory Impact Statement ((PDF 417.7 KB)) was prepared during the latest review of the regulation which included a review of the objectives, options, assessment of costs and benefits, and the outcome of public consultation. A range of proclamations have been made which commence the licence and approval sections for water sources following the commencement of the relevant water sharing plan. The Minister can publish orders to implement specific details of an Act. Orders are published in the NSW Government Gazette on the NSW legislation website. The Access Licence Dealings Principles Order 2004 provides detail and clarity for dealings permitted under the Water Management Act 2000 and in relevant water sharing plans. 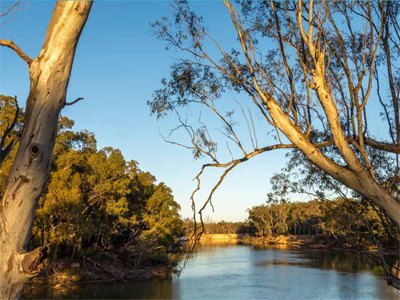 NSW makes a number of significant water management decisions under the Water Management Act 2000 that involve discretion. To provide greater transparency and accountability of water sharing and extraction arrangements, a reporting framework has been developed for identified significant water management decisions involving discretion, including how and when reporting will occur. The key piece of Commonwealth legislation relating to water is the CommonwealthWater Act 2007. Schedule 1 of the Act contains the Murray-Darling Basin Agreement, which the NSW Government is party to. The Commonwealth Basin Plan 2012 was adopted under the Water Act 2007. Water resource plans are a key requirement of the Basin Plan 2012. There are 22 water resource plans required to be developed in NSW and each plan varies in the number of resources, their level of development, number of environmental assets, and geography affecting the way the rivers are run in each area. Water resource plans will set out arrangements to share water for consumptive use. They will also establish rules to meet environmental and water quality objectives and will take into account potential and emerging risks to water resources. Describe all water rights in the plan area. Demonstrate how compliance with the Sustainable Diversion Limit (SDL) prescribed in the Basin Plan will be assessed and maintained. Include a Water Quality Management Plan. Address risks to water resources identified in a risk assessment. Explain how essential human needs will be met in extreme events. Many of the water resource plans will also include a water sharing plan. This includes the opportunity to comment on each water resource plan's Status and Issues paper and each draft plan. Targeted consultation including with Stakeholder Advisory Panels (SAPs) is also being undertaken.